They say that March comes in like a lion and goes out like a lamb. And Easter is right around the corner—early this year. So lamb has been on my mind a lot lately. As part of the research for my new paleo/primal lifestyle, I’ve been reading a lot about the benefits of eating grass-fed meats. The fact is that animals allowed to graze on pasture are generally healthier, free of hormones, antibiotics, and pesticides than factory-farmed animals. Grass-fed, pastured meat is up to four times higher in vitamin E than feedlot meat. And it’s also lower in overall fat and higher in health-friendly omega-3 fatty acids. Since purely grass-fed beef is so hard to find (not to mention the exorbitant price of meat overall) in Switzerland, I have been trying to find alternatives. Perhaps it’s only my own imagination, but I think that lamb is less likely to be mass produced and factory farmed. 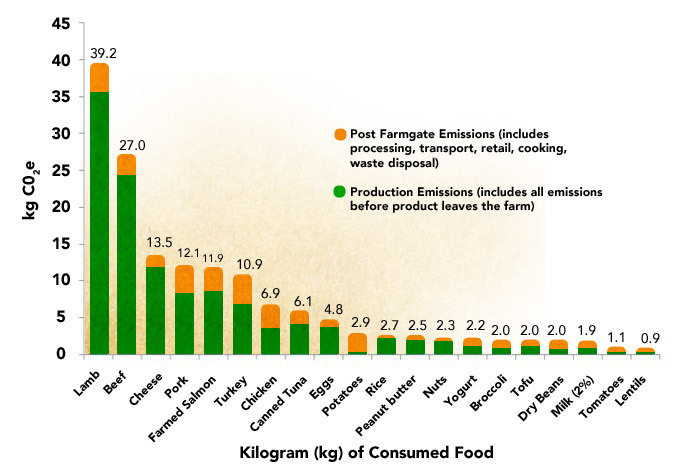 Unfortunately, compared to most other protein sources, lamb produces extremely high levels of carbon dioxide. So we make lamb a special treat. To try out the garam masala that my friend Marianne had given me as a present, I decided to make an Indian dish called Lamb Saag—or lamb with spinach. Garam masala is a combination of spices, also called the “magic spice.” If you can’t get garam masala, here is a recipe for it. 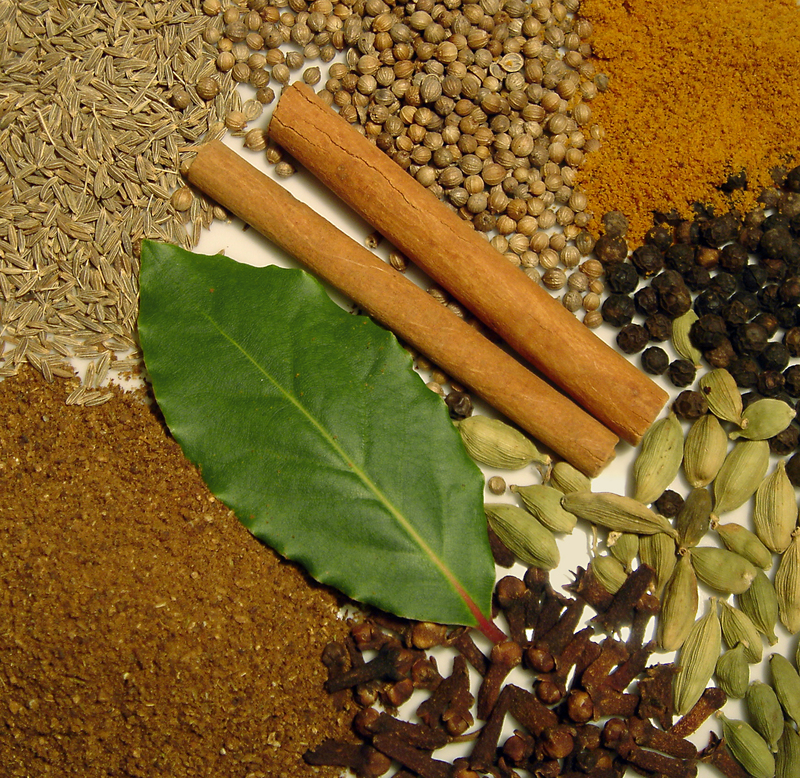 Ingredients for garam masala. Photo by Holger Casselmann. Source: Wikipedia. 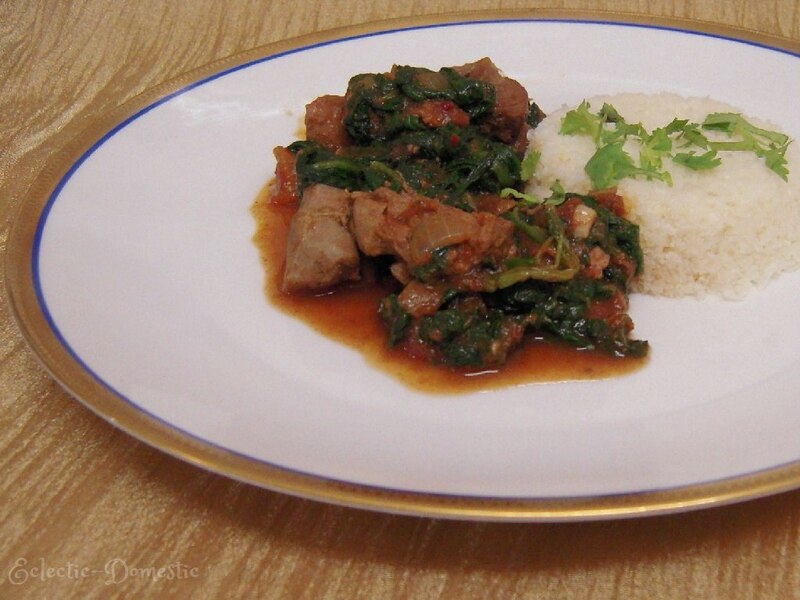 Lamb with spinach and Indian spices. This is a paleo/primal dish that is ideal for the slow cooker. Heat a heavy non-stick saute pan over high heat. Add the lamb, lightly salted, and 2 tablespoons of oil. Sear the meat, turning and tossing, until nicely browned all over. Transfer meat to slow cooker (or to a plate). Add the remaining 2 tablespoons of oil and the onion to the pan and cook, stirring often, until the onions are browned, about 15 minutes. Stir in the ginger, garlic, cumin, coriander, red pepper, paprika, and turmeric and cook for 3 minutes. Transfer to slow cooker (or leave in deep saute pan, if cooking conventionally). Add the spinach and garam masala and cook for another 30-45 minutes. (If cooking conventionally, raise heat, then lower to simmer for 15 minutes). Serve with cauliflower rice sprinkled with cilantro. My family is crazy about this meal. They older kids ate the leftovers for breakfast. Highly recommended! Thanks, Ricki. I’m glad it went over well. Thanks for letting me know.